The Multi-Pipe Lifter in its minimum configuration has a lifting capacity of 22,000 lbs (10 tons) from a single pipe support beam, and a higher tonnage if additional jacks are added to the lifting pipes. 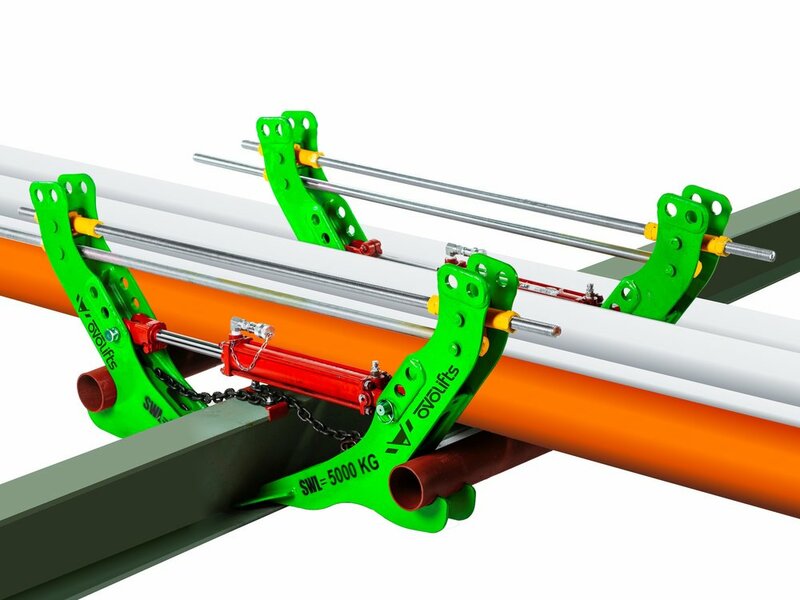 It has been purpose-built to lift single or multiple pipes across a rack easily and with minimum installation effort and is a lighter, more versatile device than the Mega-Pipe Lifter. Lift multiple or individual pipes. Lift selected pipes on a rack or skip pipes using shims. Maximum lifting height: 4 inches. Handling Weight: 24 lbs per arm. Safe max. lifting capacity: 22,000 lbs (10 tons) per CUPS using two support points, lifts more using additional devices.